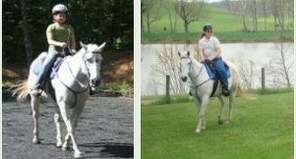 Lessons/training available at your home in the Augusta County area or trailer to my home to use my 100x200 riding ring, the schooling jump trail that winds through hills and woods, or the many trails for riding in the surrounding forest. Spring weather is hopefully getting a better start, and I have been booking lessons. If you would like to be included in the schedule, please give me a call soon as things are filling up! All Trail Lessons outside of arena with your horse — $40.00/ First 1 1/2 hrs. All Trail Lessons outside of arena you riding my horses — $45.00/First 1 1/2 hrs. Lessons/training available at your home in the Augusta County area or trailer to my home to use my 100×200 riding ring, the schooling jump trail that winds through hills and woods, or the many trails for riding in the surrounding forest. President of Ride With Pride, Inc. Articles I have written for various equine websites, online magazines and publications. You can find these sorted into categories above.